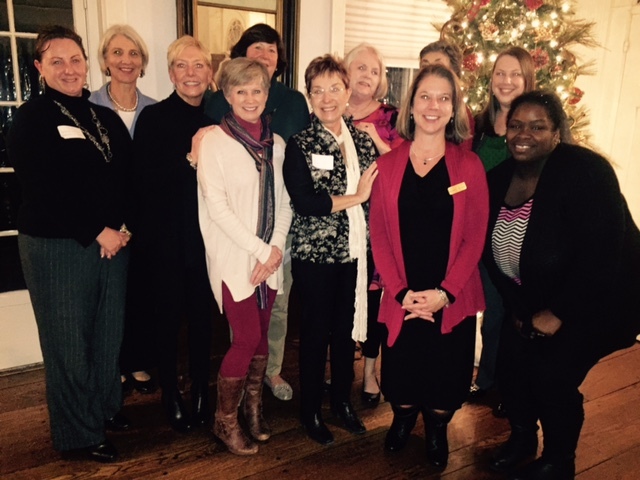 Moore Women – A Giving Circle recently held its second grant ceremony at the historic Weymouth Center in Southern Pines to present the 2015 awards, according to Elizabeth Cox, co-chair of the giving network. $1,500 to Communities in Schools of Moore County for its program to help female high school students "discover their voices;"
And $5,000 to The Arc of Moore County to provide resources to meet extraordinary needs for single mothers with children with disabilities. Caroline Eddy closed the gathering on behalf of Co-Chair Susie Smith, thanking the grantees for their important work, the Moore Women membership for their generous philanthropic support, and the Weymouth Center for graciously hosting the event. Moore Women – A Giving Circle is a program of the North Carolina Community Foundation and seeks to maximize women’s leadership in philanthropy and strengthen the local community through collective giving. For more information on this group, please contact Dawn Neighbors, NCCF Sandhills regional associate, at 910-292-4437 or dneighbors@nccommunityfoundation.org.